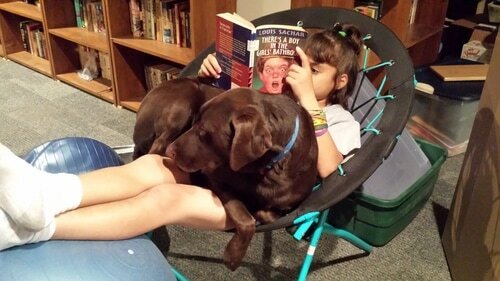 Paws 4 Autism trains service dogs for those challenged by neurodiversity or PTSD. 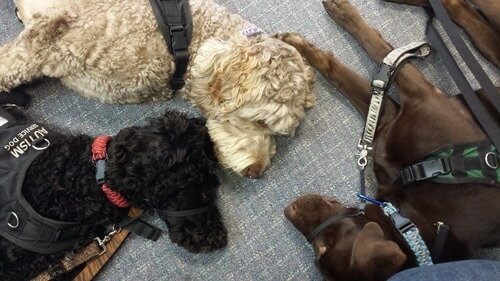 We also train professional therapy dogs for schools, facilities, counselors and therapists. ​Our mission is to provide Autism Service Dogs and related services, including community outreach and education, service dog awareness, informational training, social skills classes and innovative transitional job skills to youth and young adults who demonstrate autism spectrum behaviors. Our continued commitment to serve youth in the autism community drives this organization to provide every opportunity to foster and encourage each participant and volunteer to help increase autism awareness and support for the community at large. Autistic youth are not afforded the same advantages that non-challenged youth in the community enjoy. Many will leave the educational system with little more than basic life skills. Our Train the Trainers Program will allow youth who have been diagnosed as falling within the autism spectrum to attain more comprehensive skill sets, while helping to train autism service dogs for youth in an expanded regional area at a reduced cost while also providing the opportunity to learn both job and social skills, thus increasing their long term employability. Paws 4 Autism is 100% Volunteer and grassroots-driven. The organization has demonstrated sustained growth since our creation in 2010, and, consistent with its mission and purpose has, and continues to provide a needed service to not only the autism families we serve, but also to the community at large through our social skills and school programs.